There are many reasons to be patriotic during the month of July, but one must cool off with July’s Shake of the Month – Floats! The All American Classic… we give you the Ice Cream, and you choose the soda. Try a traditional Root Beer Float or get creative! As always, Teddy’s shakes are packed with five scoops of locally made Ice Cream and made EXTRA THICK! 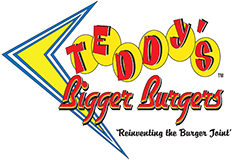 Did you know Teddy’s Bigger Burgers is expanding in Hawaii? Try your Burger and Shake of the Month at either of our newest locations. Choose from Teddy’s right in the heart of Downtown Honolulu at our Kapiolani location or our newest additions, Ewa Beach and Kaneohe! Either way, pick your location and we’ll get your Burger of the Month ready for you.